I was actually going to talk about this tomorrow, because today I was going to talk about Mystery Science Theater 3000: The Gauntlet, but this is not a repeat of the She-Ra situation. I did not get drunk and then decide nope. I decided I'd actually have more time to watch The Gauntlet today, so it would be better for me to talk about it tomorrow. Plus, Thanksgiving is over, so what I'm about to say is just as true today as it is tomorrow. I am so excited! Christmas is my favorite holiday after my birthday and Halloween. But I still believe in holidays in order - think of holidays as the children of a family, and poor Thanksgiving is a middle child being neglected for baby Christmas. And even though I'm an oldest child, I can sympathize with the baby getting all the attention. It happened to me twice. But waiting for this was hard. It was so hard. 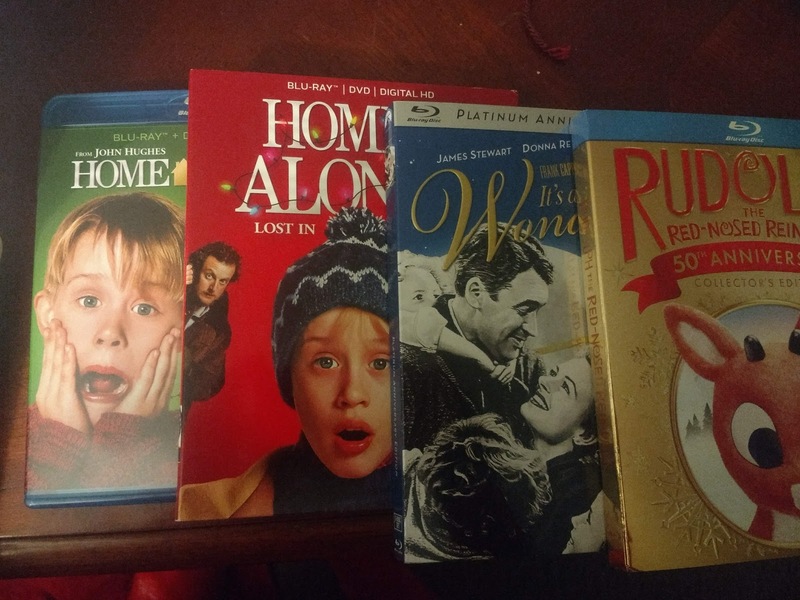 First of all, Christmas movies have been on sale. I've bought four that I've been torturing myself with, because I'm not allowed to watch them until today. Four. And they're good ones, too. Home Alone, Home Alone 2: Lost in New York, It's a Wonderful Life, and Rudolph the Red-Nosed Reindeer. So pumped to finally be able to watch these. Plus, I also own Elf. Actually, until this year, Elf was the only Christmas movie I owned. You can't throw a rock without seeing a Christmas movie on TV, but I really am excited that I control when I'm watching movies this year. And I get to sing all the songs! I love Christmas songs! They're just so joyful. Yes, I put an emoji in this entry. It warranted it. How about you? Do you celebrate Christmas? And if you do, when do you start your celebrations? Let me know!